Dr. Walter Salubro of Back To Health Chiropractic Centre in Maple (Vaughan) reads a patient testimonial. If you are moved by this story, please Like and Share. Thank you. 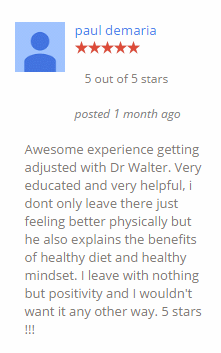 Post by Dr. Walter Salubro – Back To Health Chiropractic Centre.